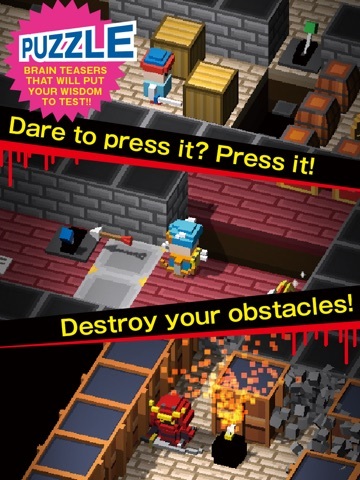 Discussion in 'iPhone and iPad Games' started by TouchArcade Bot, Sep 26, 2015. 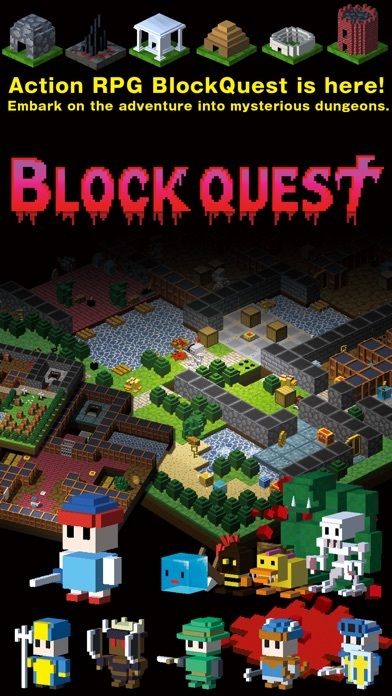 BlockQuest is an old school RPG game, which is a combination of puzzle and action, which concentrates on clearing variety of dungeons. You won't solve it so easily! 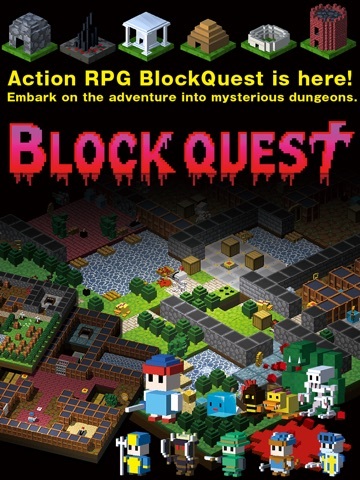 Start an adventure set in a 3D pixelated world. 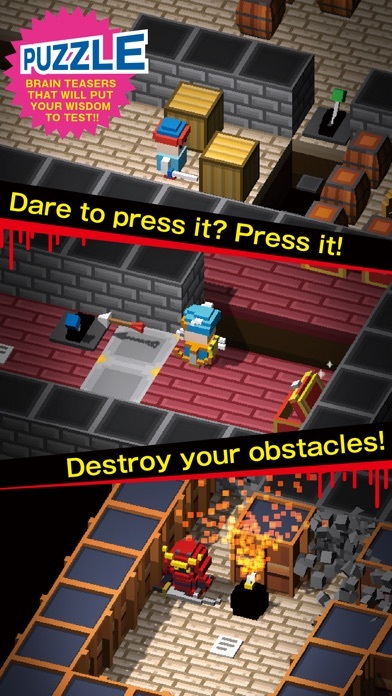 [Game introduction] Suddenly countless dungeons appeared in different places of the world. Ones who where brave enough to descend into maze would end up blood drained and killed by some unknown force. 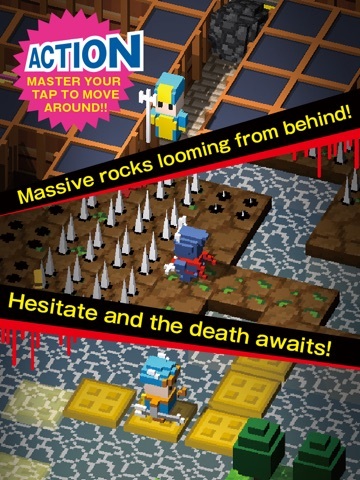 Become a hero, brave and fast to enough, to clear dungeons before your body succumb to dreadful power. 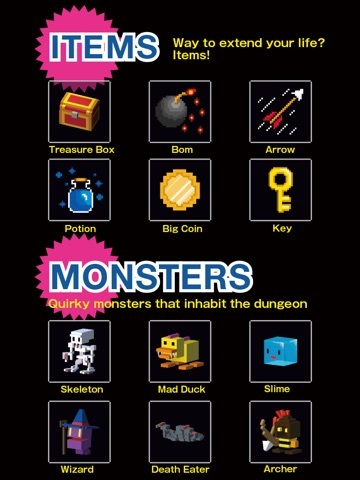 Monsters, pitfalls, closed doors - these and other traps await. 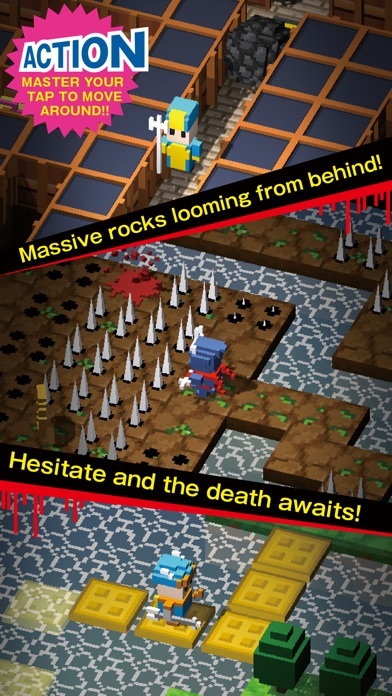 Use tricks, bombs and potions to unravel all secrets hidden in the dungeons. [How to play] Easy to operate TAP & SWIPE system. [Collecting heroes and levelling up] Starting with Apprentice Swordsman, explore dungeons and obtain new characters among which are such great heroes as mighty Warrior, graceful Samurai or Monk who recovers himself. As you go deeper into the fantasy world, you will also meet animals blessed with great powers. Search and revive your hero and help him level up. He will loose to no one! [Collecting heroes and levelling up] Starting with Apprentice Swordsman, explore dungeons and obtain new characters among which are such great heroes as mighty Warrior, graceful Samurai or Monk who recovers himself. As you go deeper into the fantasy world, you will also meet animals blessed with great powers. Search and revive your hero and help him level up. He will loose to no one! I'm enjoying this game quite a bit, it's a bit like Skeletomb which also came out within the last 48 hours. Feels strange answering my own comments. Seems all people like to talk about is Bioshock. Give it a couple of years and you might be able to get a 360 and the game for less than the price it's selling for on iOS. This game is pretty good, needs some love from you guys though. 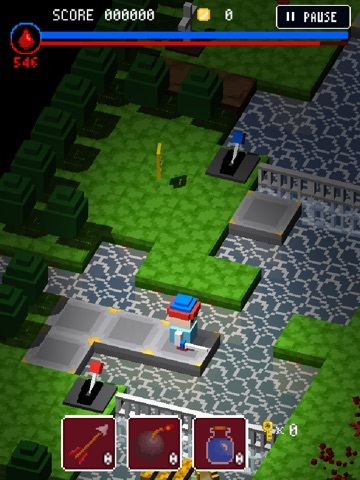 It's a Crossy Road/Adventure/Puzzle game, I thought it would be right up TouchArcade members ally. Give it a try what's the worst that could happen... use some data up or even worse clog up your previous purchase list. Ok I gave it a try. Why would I uninstall it? The levels have a timer. 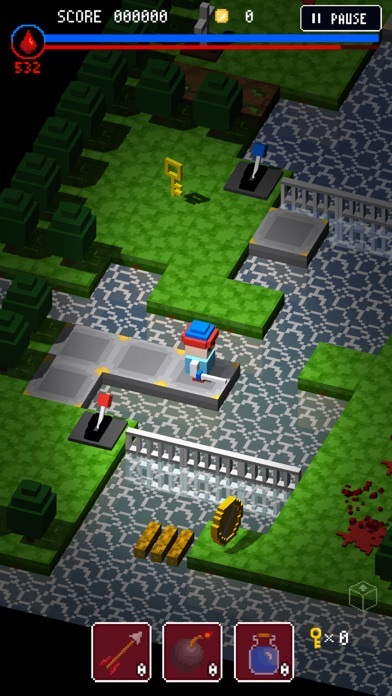 The controls force you to first swipe the direction you want to face or attack. You then have to tap to move or fight in that direction. It's not intuitive and then you add the fact that the level is time? It's just not fun. Take away the level timer and it would atleast be tolerable. But I don't really think I want to keep playing. Your a bit harsh with your judgement, without the timer for each level there would be no challenge to the game. Also I am having no problems with the controls at all, actually never really thought about them until you mentioned it. Out of the two, I prefer Skeletomb, but this one isn't bad at all. The problem is I like having time to explore levels, and this one doesn't let me do so. 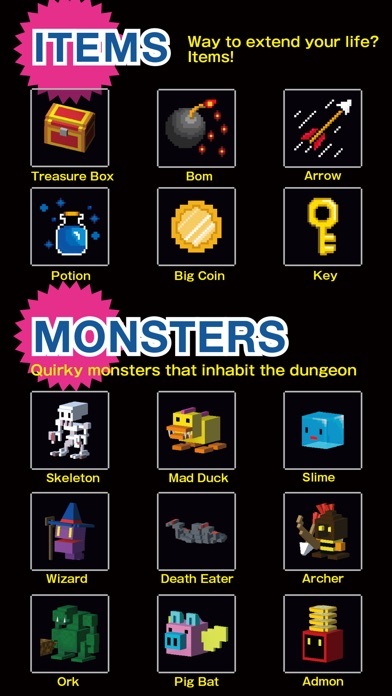 Also, BlockQuest doesn't seem to have randomized levels, while Skeletomb does. Agreed. I'd have more fun with it if the challenge rested with the level design and combat, not a timer. Option to turn off the timer would keep me playing. The icon was the only reason why it stood out when I was scrolling through AppZapp. I like the level structure of the game, sometimes it's good to break away from the random generated levels once in a while. I'm not trying to be harsh. I believe in being honest and up front when I talk. Seems cool, but also seems like i've seen it before, a few times. Hope it offers more. I don't understand the scrutiny at all. I started playing this and Skeletomb at around the same time and ended up deleting Skeletomb altogether in preference of this. As for the timer or clock or whatever you want to call it, it's actually one of the greatest aspects to the game (If you want a challenge as opposed to a more casual experience), since it starts to feel like almost more of a speedrunning game when you have to figure the levels and their secrets out over the span of a few tries, and then race to fulfill all the hurdles required to the complete the maps. If you don't like the timer then I would guess you want a more relaxed experience, in which case I'd recommend just don't be a completionist. There's more than enough time to clear each map, and the timer only legitimately presents a challenge when you're going for all the coins and secrets, etc. As for the controls, they're not perfect but all they take is a bit of learning (Like almost any game I can think of) and work really well when understood just as well. I love the combat, which is essentially an interesting mix of turn-based and real-time combat. The levels are EXTREMELY varied and so far always fun. The game becomes extremely difficult after a little while, but that adds to the enjoyment of it. It's absolutely a puzzle game but also throws in a bit of action. The graphics are just what they need to be. They're familiar but charming as hell.